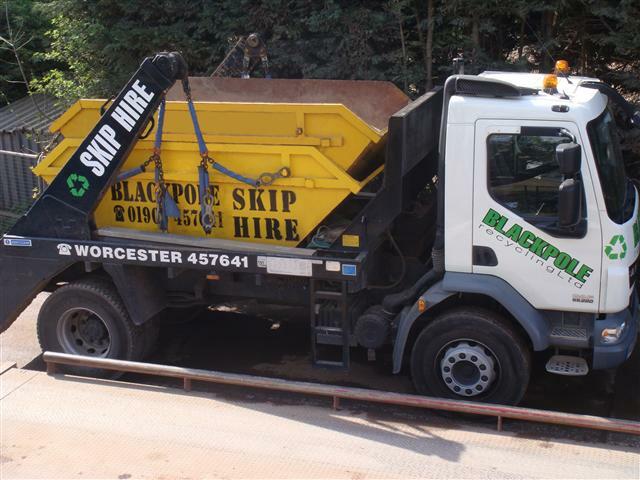 Blackpole Recycling Ltd is a family run business established in 2001 serving both commercial and public customers within a twenty mile radius of Worcester. Renowned as a professional local skip company with an excellent reputation for quality, service and a genuine commitment to recycling. Blackpole’s Waste Transfer Site (Waste Transfer No. 46161) is located in a prime position on the outskirts of Worcester allowing it to receive waste via a major road network. Seventy-five percent of all skip waste is recycled reducing landfill tonnage. Blackpole’s excellent fleet of waste ejector vehicles minimises unnecessary journeys to landfill sites, in-turn reducing pollution. Blackpole Recycling Ltd through it’s recycling activities is also able to provide a number of recycled products including crushed aggregate.